You have a dedicated doctor for yourself. Choose Thrust Performance for your vehicle. We'll change your outlook on automotive service. 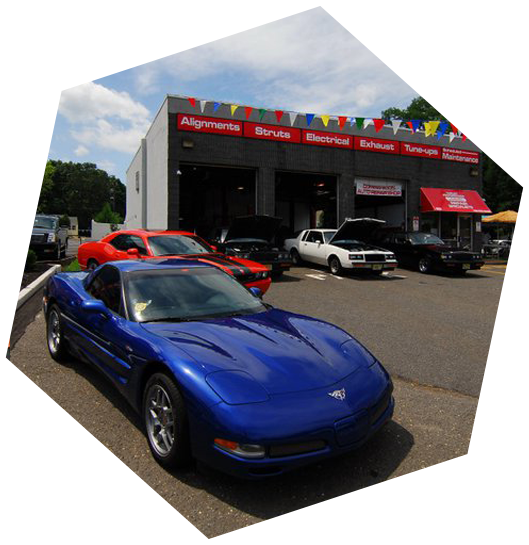 Visit our auto repair shop in South Amboy, NJ for scheduled maintenance, new tires, and professional auto repair services. We have ASE-certified technicians on staff to handle your vehicle needs, from top to bottom. Schedule a check engine light diagnostics, tire service, brake repair, diesel engine service, wheel alignment, and more. We do it all, and we do it right. Friendly, affordable, professional, and hassle-free auto repairs and service awaits. We're confident in our professionals and proud of the work we do, so let us personally show you how we care for your car. Our number-one goal is your complete satisfaction. When you leave, you should be confident, relieved, and happy. We strive to provide families and travelers across South Amboy, Bound Brook, Sayreville, Old Bridge, and surrounding areas with quality auto repair services and affordable prices. Our car repair shop continues to grow thanks to customers like you.